What is a manually-shifted car? After 30 years as an engineer in the automotive industry and 36 years of driving more cars than I have fingers, toes and hair follicles, I think my definition fits with other Porsche owners of like mind. And it's not only the definition of what they are, but I also share their concerns about the uncertain future of manually-shifted cars being offered by Porsche and other manufacturers. So, I offer a somewhat different — but eminently practical — method to help stem the tide of automatic shifting into our beloved automobiles. First, the definition is one clutch, not two, such as Porsche's PDK. This, of course, requires a third pedal to operate the clutch, one that requires the driver to control the shift, not a computer. An actual shift lever, sequential is fine, a dog-leg first gear challenging or a column-mounted lever, positively quaint and charmingly nostalgic. In fact, I learned the ways of the clutch at age 16 on a 1969 Rambler and my father's typical words of encouragement: "Just don't run into anything." The more speeds the better. Next, the plan. Share your enthusiasm — not only as Porsche enthusiasts but also as driving enthusiasts. Buy new cars that have a manual transmission. Let your children see it as the norm, not the exception. 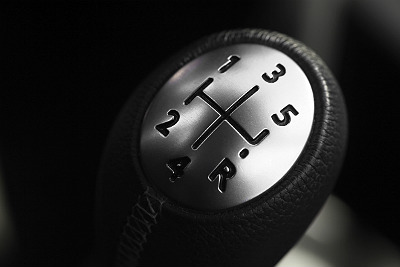 Buy used cars with a manual transmission for your children, friends and family to enjoy. Yes, it sounds trite, but unless we cultivate an interest and enthusiasm in the challenges and satisfaction of driving a proper manual transmission (three pedals, please), it is certain to become an afterthought in all but the used car market. Perhaps I'm unusual in that I always assumed that driving a manual transmission went part in parcel with learning to drive, but then again maybe not. My parents both drove one, and it seemed obvious to me that I needed to drive one, too. How else was I going to drive racing cars when I grew up? Besides, all of my high school friends drove them, at least the really "cool" ones. I'll be the first to admit that none of my four children truly inherited the car gene from me. No car magazine pictures on their bulletin boards, no endless searching of the TV Guide to find out when Wide World of Sports was broadcasting the Grand Prix of Monaco, and no rows of model cars littering the shelves of their bedrooms. But, that has not prevented me from exposing all four of them to the challenge of the third pedal. I drive one every day, and to them it is just the norm. Even my 13-year-old can competently wield a stick shift around my 10 acres of Michigan countryside. In fact, my oldest took his driving exam in my manual-transmission Jeep and has since become an utter fanatic about only having a manual transmission in his daily driver. His scorn for automatics is heartwarming as is his excitement for getting a chance to drive my 944. So, therein lies my point. It's a lifestyle that needs to be shared and cultivated if it is to survive. Certain manufacturers understand that and market lifestyles as opposed to products. Don't believe me? Screen any Subaru advertisement. In fact, the commercial below in which a father is teaching his twin sons how to drive their old manual-transmission Subaru is a perfect example. Be that parent, be that influence. Let someone else try out your third-pedal vehicle. No whining, no hesitation, just do it. If you can't imagine letting someone else drive your 911 or 951, have an extra car on hand for the occasion. 944s are excellent for just that duty. Even if the car isn't a Porsche, it's the experience that counts, not the style. Remember, we're fostering a lifestyle, an enthusiasm, one that will only continue if we share the experience. Robert "Skip" Kuhn, is currently a technical and engineering consultant to the automotive industry including OEMs and suppliers, both domestically and abroad. Skip has worked in the automotive industry for 30 years and has been an automotive and driving enthusiast for as long as he can remember. During the last 11 years, Skip has been working as an engineering technical consultant, which has afforded him the opportunity to greatly expand both his knowledge and experience in the automotive arena. What type of transmission do you drive?